Amazon’s Jeff Bezos. Photo: Drew Angerer/ Getty Images. Amazon decided not to sell any of the newer products from Google’s smart home division Nest. Amazon’s move heats up its war with Google over the future of the smart home. The two are also battling over video devices and services. After weeks of silence, Amazon’s retail team informed Nest employees on a conference call late last year that it would not list any of the newer Nest products recently announced by the company, according to a person familiar with the call. The products in question include the latest Nest thermostat and the Nest Secure home security system, among others. On that call, says the person, Amazon told Nest that the decision came from the top – and that it had nothing to do with the quality of Nest products, which had great reviews on Amazon. 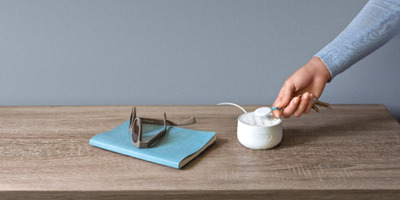 Nest employees who were on the call ended the discussion under the impression that the decision had come from Amazon CEO Jeff Bezos, although Amazon’s retail team didn’t explicitly say that at any point, according to a person familiar with the call. As a result of Amazon’s decision, Nest decided to stop selling any of its products through Amazon, meaning the limited number of Nest devices listed on Amazon today are expected to disappear from the site once current inventory is sold out, according to a person familiar with the matter. Amazon’s decision not to sell Nest products has huge implications as it strives to carve out a new computing platform – and as it continues to clash with Google over the future of computing. 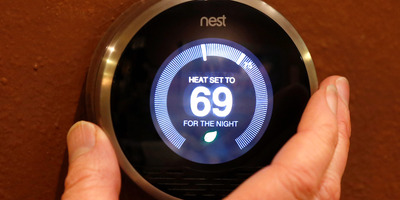 George Frey/Getty ImagesThe Nest Learning Thermostat is the smart home maker’s flagship product. After missing out on smartphones and finding limited success with its line of Fire tablets, Amazon is betting big on Alexa as a new computing platform. Alexa is both Amazon’s AI assistant and its platform for smart home gadgets, including connected lights, door locks, and music speakers. The company has gotten more aggressive with competitors recently – especially Google, the owner of Nest, which is Amazon’s biggest competitor in the smart home with its own Google Assistant platform. Amazon also announced in February that it would buy Ring, the maker of camera-equipped doorbells and other connected home security devices, in a deal said to be worth about $US1 billion. Nest was warned of Amazon’s decision, even before that fateful call. Representatives from Google, its sister company at the time under their Alphabet parent company, told Nest that they had heard from Amazon that the ecommerce giant had decided not to sell newer Nest devices. Google reabsorbed Nest last month. A person familiar with Nest’s thinking said the company decided to remove its current set of older products from Amazon because it wanted to be able to offer its full portfolio of devices, or nothing at all. It’s possible you may be able to find Nest products on Amazon in the future through Amazon’s Marketplace program, which lets third-party retailers sell items through Amazon. But it’s unclear if Amazon plans to restrict Nest sales from its Marketplace partners too. Amazon doesn’t appear to be blocking sales of smart home products from companies other than Nest. For example, Lighthouse, an AI-powered connected camera made by a startup of the same name, is available on Amazon. Products from August, a connected home company best known for its smart door locks, are also available to buy on Amazon, along with products from several other smart home device manufacturers. Amazon’s move against Nest comes as it works to beef up its smart home ambitions after a successful holiday season for the Alexa assistant and its Echo hardware. Last month’s Ring acquisition puts Amazon in a much better position to integrate its products with Alexa, accelerating its ability to compete with Google’s own smart home ambitions. Nest is Google’s smart home products division. It makes devices like connected cameras, thermostats, smoke detectors, and security systems. Google bought Nest in 2014 in a $US3.2 billion deal. Nest later became its own company after Google reorganized into the Alphabet conglomerate, only to be reabsorbed back into Google in February. Nest is now under the same hardware division as the rest of Google’s hardware products, which will create a streamlined organisation from which Google can better compete against Amazon. Amazon had about two-thirds of the smart speaker market towards end of 2017, but that figure doesn’t reflect the full holiday shopping season, when Google likely gained more market share. The stakes are huge. Both Amazon and Google are building out a new voice-powered operating system that can control everything in your life – from your lights to your garage door to the music and video you stream. Amazon’s acquisition of Ring will give it a nice boost on the hardware side as it continues to build out Alexa’s AI. Ring was already one of Nest’s biggest competitors. Now it has the nearly-limitless funding needed from Amazon to go after its Google-backed rival. In addition to ending sales of Nest products, Amazon does not sell other Google hardware like the Google Home Speaker or Pixel smartphone. In a seemingly retaliatory move, Google has blocked its YouTube native app from running on Amazon’s Fire TV and Echo Show. (Google, for its part, has said the block is because Amazon products violate YouTube’s terms of service.) Amazon will start selling Google’s Chromecast streaming devices soon, which may help ease tensions between the companies and convince YouTube to bring its service back to the Fire TV and Echo Show. Beyond hardware and apps, Amazon is also beefing up its digital ads business, a direct threat to Google’s core business, as CNBC reported last year. Amazon and Google also compete in providing cloud computing services to companies, through its respective Amazon Web Services and Google Cloud divisions. Amazon’s beef with Google isn’t unique in an industry dominated by a small handful of giants. Amazon also had a rocky relationship with Apple. It took about two years for whatever was going on between the two companies to get resolved after Apple opened up the Apple TV to all third-party developers. Amazon started selling the Apple TV again last year, and it later added its video-streaming app to the Apple TV App Store. 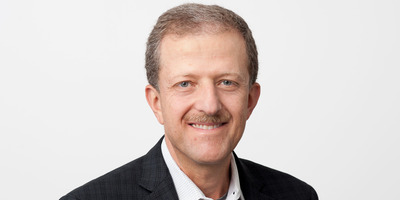 While Amazon’s decision to keep Nest products off its site may seem nefarious to some, it likely isn’t illegal under US antitrust law, as Chris Sagers, a professor of law at Cleveland State University told Business Insider in an interview. Because Amazon doesn’t have a monopoly in the connected home, the move isn’t anticompetitive. Now read Business Insider Prime’s exclusive report on the turmoil at Magic Leap, the $US6 billion startup creating the next big computing platform.